OMAHA, Neb. 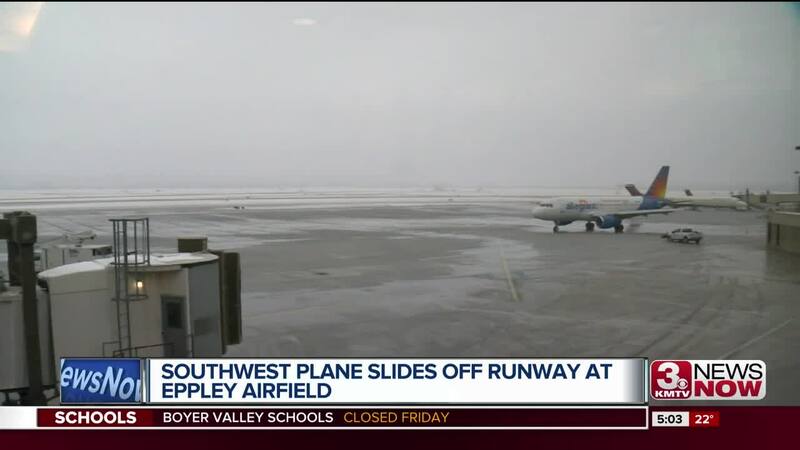 (KMTV) — Amid icy conditions Friday afternoon, A plane slid off the runway at Eppley Airfield. There were no injuries. At around 4:40 p.m., Eppley announced flights would resume and the airfield would reopen. A Southwest Airlines aircraft is off the end of Runway 14R after landing at Eppley Airfield. There are no injuries and airport fire crews are working with Southwest to deplane the passengers and take them to the terminal.